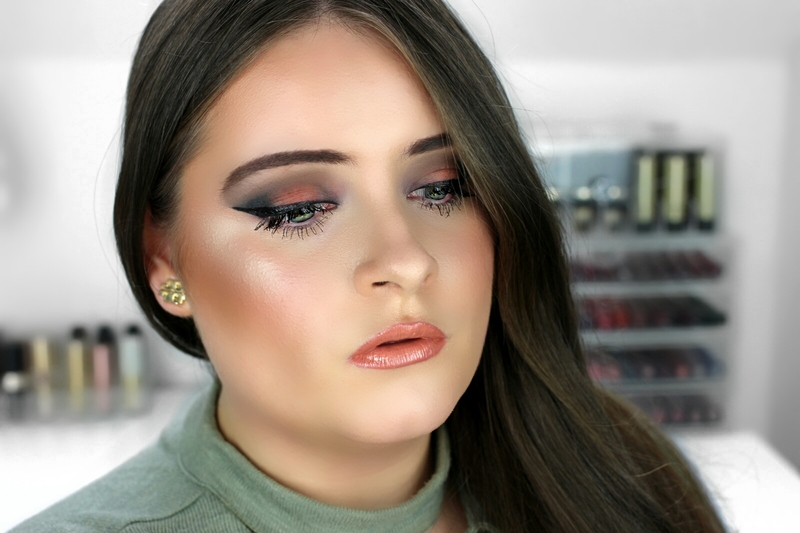 For a long time I wanted to create an eye look using cool-tone shadows, because if you've been following my blog and YouTube channel (here) for a while then you will know I always gravitate towards more warm-tone shadows (like this eye look I created the other day with the Urban Decay Naked Heat). 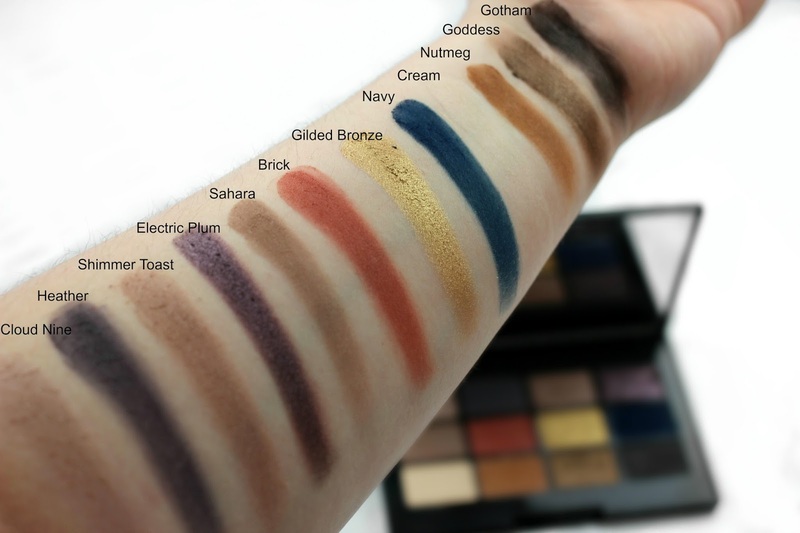 I wanted to switch it up and try something different so, when I got my hands on this new Laura Geller NY Downtown Cool eyeshadow palette I knew straight away that this was the perfect palette for the look. 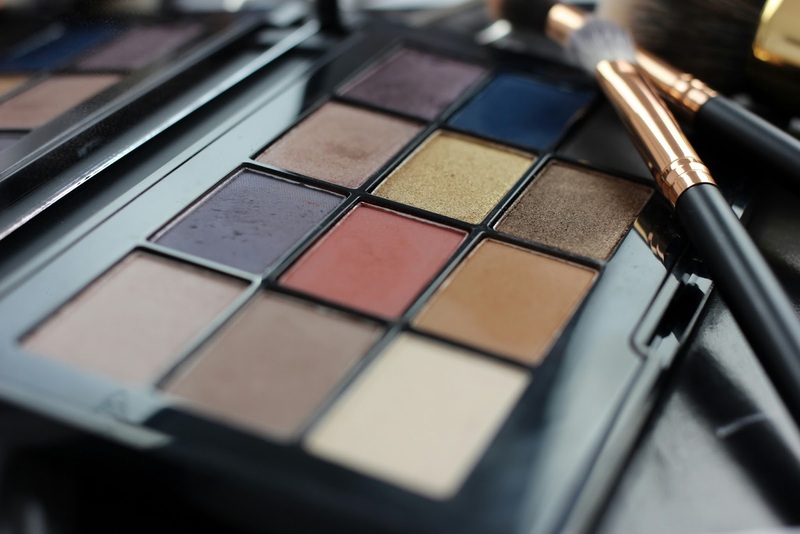 This palette houses twelve richly pigmented eyeshadows in a mix of matte and shimmer finishes. The shimmers are absolutely stunning (super pigmented) but I was more drawn towards the matte shades because there are a lot more cool-tones amongst them. I picked a selection of shades for the look I had in mind - 'cream', 'sahara', 'heather', 'navy', 'brick' - and it turned out much nicer than I imagined. I'm loving this eye look and these cool tones, I think they really suit my green eyes. 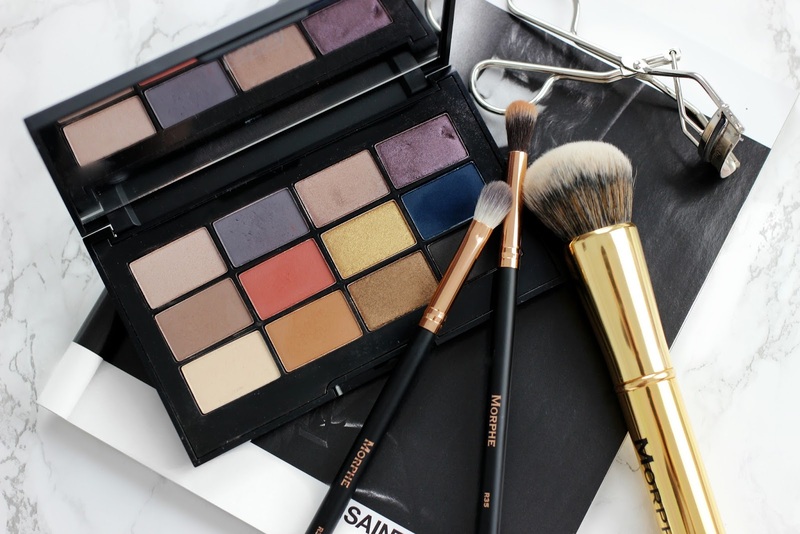 Excited to try more looks with this palette and delve into those shimmer shades too! Apply the 'cream' shade all over the eye for an even base. 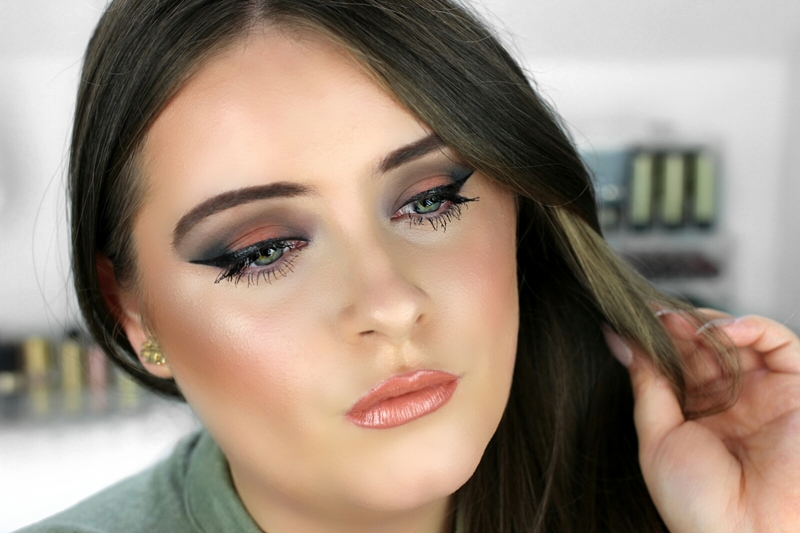 Blend the 'sahara' shade into the crease. Then apply the 'heather' shade to the inner and outer third of the eye lid leaving a space in the centre of the eye lid. For the centre of the eye lid apply the shade 'brick' then blend the edges. Apply the shade 'navy' to the outer corner/V of eye and blend for a smokey edge. Finish the look by defining the upper lash line with black eye liner (I used Kat Von D Tattoo Liner) and coat the lashes with mascara (I used L'Oreal' Lash Paradise) or false lashes. Hope you love this eye look? Do you love cool-tone eyeshadows? Love Love Love the look! And I must get my hands on that downtown cool eyeshadow palette from Laura Geller! I have tried many of her products from b-glowing, my new favorite being the gilded honey baked gelato swirl illuminator!